That worked out great Jack. I was able to tone down the angle which helped out a ton one getting the cover to fit. 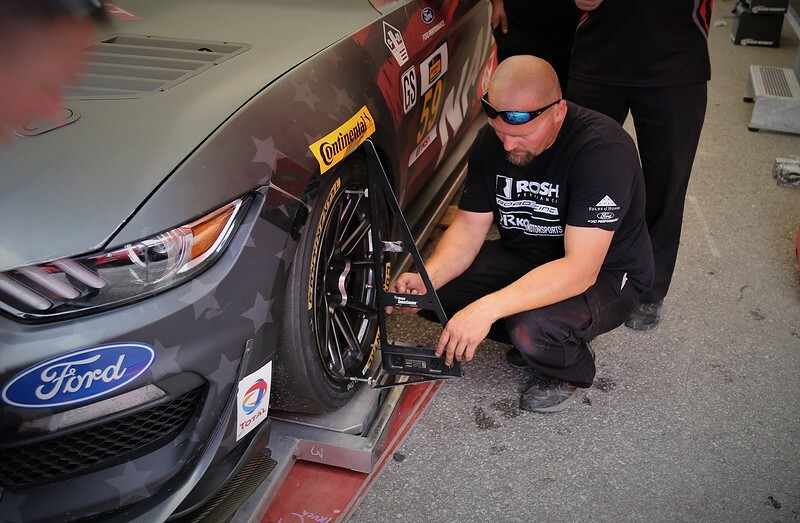 I also cut down on how much I was pushing the fender out at the front of the tire. I had close to 2 inches which was too much so I cut it down to around 1/2 inch when the tire is the closest to the fender. I'm not out of the woods on installing this but allot closer now to making it work. I'm also going to look at removing the lower part of the bumper cover about 3 inches below the molding but leaving the area where the fender and bumper cover meet. Similar to what the guy did in this thread. Since its been awhile I thought I would post an update on the car. I was working on the front air dam but ended up stopping for now. I wanted to move on to tuning the car and i don't need the front air dam to drive the car. So far I've driven the car a few times on the street working on the tuning. The tuning is going really well Decipha has been doing a great job especially with all the delays he has to deal with on my end. I still need to do a WOT pull on the car but so far the tuning has been spot on. The one thing I found during the tuning I was having a hard time with the manual brakes. They were starting work good once I got the pads bedded and rotors seasoned but I found I'm having a hard time being consistent on the brakes. I've had some knee issues over the past few years I guess the 26 years of skateboarding hasn't helped. I can see how this will be a problem with the on and off the brake nature of autocross. So after talking with Jack at MM I worked out a plan to convert the car back to vacuum boost brakes. I still have the original brake pedal for the car so I set out to install that this weekend. So I pulled the the pedal box out and installed the old brake pedal. I'm going to use a fox brake booster with a cobra 1inch bore master cylinder. The car generates good vacuum so this setup should work well. He also gave me some good advice on setting the brakes up with a vacuum reservoir. I have the parts on order and hoping to install them this week. 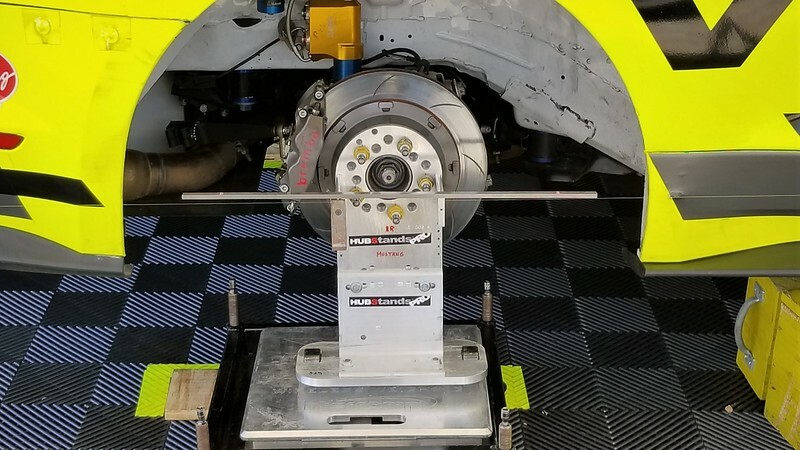 Since I wasn't going to get a chance to do more street testing with the car I decided to put it up on jack stands and give it a once over to make sure everything was still tight. Then I decided it was time to finally finish up the rear seat delete trunk floor and rear quarter panels. I started with the rear quarter panels. They weren't hard to get in since I had already got them all in just needed to replace the cleco fasteners with rivets. Then I moved on to the rear seat delete. this i had already marked everything out so it went pretty quick getting it installed. Then trunk floor went in which was probably the hardest part of the install. If I didn't have the roll bar this would have been much easier. It came out pretty good I see a couple of things I would have changed but I'm happy with the way it came out. I still need to finish the rear trunk panel but that is going to take a bit of work to get right. This week I should have more updates on the car. I really want to get the car back up and running this week so i can finish the tuning. That is going to be a major step towards getting it smog tested and registered so I can take it out next month for its first autocross. Mustangmichael and thadude like this. Started to get the parts to install vacuum boosted brakes back in the car. I'm going to add a reservoir to the vacuum booster to keep the pedal consistent. I'm going to disable the check valve in the brake booster and add a check valve inline. Basically I'm going to run off the intake manifold into a check valve off the check valve into a tee fitting then the upper part of the tee into a reservoir then the other end into the brake booster. The picture below shows some of the parts I'm going to use. I took the check valve out of the booster and gutted it out. Here's a picture before I stuck a drill bit in and opened it up. Then I started to look under the hood to mount the massive reservoir tank. There isn't many options for mounting it due to its size. I thought about putting it up in the front of the car on the passenger side but not sure I like the idea of running such a long to the front of the car. I did find space in fender on the driver side of the car. This should work the best but I will need to make a mounting plate to attach it to the car. I'm going to try and get the reservoir mounted tonight and the brake booster installed in the car. Then bench bleed the master cylinder and the brakes Wednesday or Thursday. I'm hoping I can take it out on Friday to test the brakes. Last night I worked on getting the reservoir mounted in the wheel well. I had small piece of aluminum plate that is 1/8 inch thick so I decided to use it for a simple bracket. I wanted an easy way to mount the bracket in the wheel well so I added rivet nuts. Here's the bracket mounted in the car. Then finally got the reservoir in the car. I'm planning on working on getting the booster and master cylinder installed in the car tonight. Thanks man it worked out pretty good. I got the booster installed last night didn't take much work getting it installed. I also installed the master cylinder temporarily so I could line up all the lines and get them tightened down. I still need to bleed the master cylinder which I should be able to do tonight. The only thing I have to do is double check the pushrod length on the booster I measured it all out and got it set but it seems like there is around an 1/8 of free play before it starts to push on the piston. Which I have no idea how I would be that far off. The pedal ratio is 3.4:1. So if there is 0.125" of play at the brake pedal, then you have a gap of 0.036" between the pushrod tip and the bore in the booster. Differing shapes of the bottom of the hole in the counterbore in the m/c piston can make a straight linear measurement inaccurate for setting the clearance. You always want to err on the side of having a little play in the pedal. If you go the other way, the brakes can stay locked, when they heat up. The 1/8 of movement is between the pushrod tip and the master cylinder. The 1/8 of an inch is also a guess since it was late and I was just finishing up for the night when I noticed it. I basically watched the pedal movement at the point where the booster connects to the brake pedal. I figured that would give me the best rough guess on how much it was moving before engaging the master cylinder. I need to look into it more tonight to make sure I'm right with my assessment. I don't mind if there is a bit of free play in the pedal like you said I would rather have some movement in the pedal then taking the risk of the brakes dragging because the pushrod is to long. Thanks again for your help. So it turns out that movement in the pedal had nothing to due with a gap between the pushrod and master cylinder. I took the master out checked my measurements and I was off by .030 of an inch which was hardly anything. I made a slight adjustment to it found nothing changed in the movement of the pedal. So I used the camera on my phone to video the pushrod when I pushed on the pedal and it doesn't move. When I push it past that point then the pushrod starts to move. Not sure if this has anything to do with the fact there is no vacuum pressure in the system. Finally got the brakes finished up on the car. Adding the vacuum booster to the brakes helped out a ton with braking. I unfortunately had to cut my test drive short when I started to hear a noise from the passenger side front brake. It was thumping sound under braking I didn't have before. I took the passenger side brake apart but could see any signs rubbing or anything that would cause the noise. Right now the suspension isn't at ride height or loaded so not sure if there is something in the ball joint or something else when the suspension is under load. Here's a couple pictures on the booster vacuum setup. Still need to do some looking under the car and around the suspension to see if there is something I'm missing. If the FCAs are mounted in the upper set of holes on the MM k-member, the included washer must be installed under the head of the rear FCA bolt. I have the washer installed on the control arms I went checked to make sure. I did remove the front sway bar and relocation brackets so I'm going to check to see if that is all in place. What are torque specs for the relocation blocks? I have the ones that are blue aluminum blocks with the hardware built into them. Do they have the same 32ft-lbs as then new ones? I also took the coilovers out of the car to clean install new springs and apply new grease to the thrust needle bearings. You can see the swaybar relocation blocks in this picture. I just happened to have one of those kits still sitting in my garage. Torque spec on both bolts is 35lbs-ft. I went through the front suspension last night but couldn't find anything that was loose or out of place. So I decided to do a nut and bolt on the front end of the car and I'm going to do the same on the rest of the car just to make sure nothing has come loose after my first few test drives I've taken in the car. The next time I take it out I will try and get a recording of the sound if it comes back. Not to much going on with the car right now. I went through it and ran a nut and bolt on everything and took it out for a test drive and it appears to be fine now. I did have a vacuum leak and the brake booster that I fixed which made the brakes work even better. I did my first WOT pull on the motor and that went well. I sent the logs off to Decipha so he can look them over. The only problem I'm having right now is the exhaust in the car mainly the cat back part. I have a really bad rattle in the back of the car. Its the tail pipe hitting one of the bolts for the panhard bar mount. I need to get back under the car to make adjustments but the hard part is if I rotate the tail pipe away from the bolt it gets closer to the tire which will rub. I have plenty of room to the fender flares so I could spacer the wheel out another 1/4 of an inch but I really would like to avoid doing that but I might not have a choice. If I add another 1/4 inch I will have 1inch of wheel spacers on the car. I run 3 inch ARP wheel studs so i have plenty length to make it work. I just need to figure out if I would need to get a single 1 inch spacer or if I could add a 1/4 inch spacer to my 3/4 inch MM spacer I already have. Can't tweak the tailpipe (peen with hammer, squeeze with c-clamps, etc) to clear the bolt? I might be able to motivate it out of the way I'm also going to look at switching the bolt around that holds in the panhard bar in. The bolt head is about half the height of the nut so I could gain more clearance by doing that. I need to get it to a exhaust shop have them adjust the exhaust in the car. I have really good exhaust shop by my house so I'm going to have them clean up my work. So now that you got to stand on it, how was the power? Big difference from before (if you can remember back that far LOL). To be honest it didn't seem to pull that hard. I was rolling at 35mph in 3rd gear on a freeway on ramp then went WOT by the time I was getting on the freeway I was going extremely fast when i took me eyes off the tach and wideband gauge when I hit 6k I was like oh crap I better let off because the CHP would frown upon the speed I was doing. It definitely has some get up and go but its hard to gauge I don't even remember how the car was when I last raced it 12years ago and my daily car is really fast and I would be willing to bet puts down more power to the tires then the mustang. I'm hoping to get the car to a dyno at some point to see what its making at the tires. The engine really hasn't done much running its probably idled and been run the through the rpm range in my garage for more then 2 hours and only has about 10 street miles on it. Once i get more miles on the car and some autocross time I will be able to get a better judgement on how strong the motor is. Can't wait to hear your reaction after the first outing, you've done a really great job with the car! It should be a blast to autocross. Took the car out again for a WOT pull and everything is looking good the tune is done and its time to put some miles on the car before I go and get it smog tested. I'm still hearing a thumping sound during braking. I went under the car and loaded up the rear suspension and found one of the upper control arms was loose. It was moving around so it might have been the thumping sound I was hearing but I will have to get it out this week to find out. There's also a couple rattles I need to track down. I did find a part for the car I've been looking for while. The one part of the interior I've been trying to figure out what I'm going to do with it is the shifter. Then I located one of these for the car. It was part of a console delete that came in earlier cars. I have the cover and the shifter boot but the boot is in rough shape but really wasn't worried about it. I'm thinking about making an aluminum plate cutting out a hole for the shifter to come through and use a leather or nomex boot. I also got to autocross this weekend. It had been a while since I had the mod car out and it was allot of fun for a tight course. The tight courses are rough for me since I have a tendency to over drive the car. The car felt pretty good unfortunately I kept getting re runs which is tough on are car. The last run was my fastest but the car was not happy due to the engine temp. thadude and Tob* like this. Peter - I've been looking for a boot setup as I won't be using the console on my '90. That is the perfect piece. I'm searching and coming up empty - any tips on where another might be available? This was another one that I was looking at but it says the auction has ended. You could try contacting the seller to see if it sold from what I can see it didn't but i could be wrong. Here's a picture of the part number on it. It took me a while to find one I didn't even know they existed until a few months ago when I saw one in a video. Thanks Peter. I wrote him and asked. I found an NOS stand alone e-brake cover and if I can find a shifter bezel like that it's be perfect so I'll cross my fingers. No problem I have also have the e-brake cover. I'm not sure how different the earlier cars e-brake handles are from are generation but its going to take some work to get it to look right. I haven't messed with it to much yet but its a tight fit. Working on a couple of different console delete possibilities. Again, thanks for the tips here. I hope the older e-brake bezel fits the later handle. As long as it physically fits I can make it work tab or fastener wise. I plan on using a Bassani off road X pipe and know that I'll have to take an inch out of it and will likely have to tweak it where the rear flanges have to hide under the MM torque arm crossmember. I just figure it'd be easier to use the hardware you did over playing with the hangers that come on the pipe. I got the exhaust hangers from summit they were kind of expensive but they worked. I mainly had to do this because the exhaust on the passenger side of the car was hanging so low to the ground. The hangers that came on the exhaust seemed to be way off so the exhaust wouldn't hang right in the car. I read a few threads about these x-pipes and everyone said the hangers were off. I need to remove the exhaust from the car and reinstall it. There's a few places that are really close to the chassis and trans mount that are causing some of the vibrations I can hear under the car. I just need to decided if I want to do it myself or take it this exhaust shop not far from my house. Its hard I don't want to do work that's going to take the car down for a while since I really need to get mileage on it so I can get it smog tested. I'm hoping to get home for lunch tomorrow so I can drive it around for about 30min and keep doing that each day until I have a few hundred miles on the car. I still need to figure if I fixed the thumping sound I was hearing. Right now I'm working on the alignment of the car. I have a set of longacre turn plates, camber caster gauge and toe plates. The camber and caster are the easy part the toe is going to be a bit harder. I can tell by looking and driving the toe is way off if mt measurements are right its toed in by 1/2inch. Which I'm sure is from the moving of the steering rack since I want to say the car had an 1/8 of toe out at one time. The only thing with the toe setting I can see there is allot of variables where you can mess it up even with the toe plates. I need to do some more research on how to set toe and different ways of checking it. Toe plates are ####. Complete waste of time. Just use two pieces of 3/4" EMT conduit with holes drilled through them in two places with roll pins pushed into the holes. Four jack stands to hold them up. Use two pieces of fishing line to form the sides of a box. Use weights at one end of the strings to keep them tight. 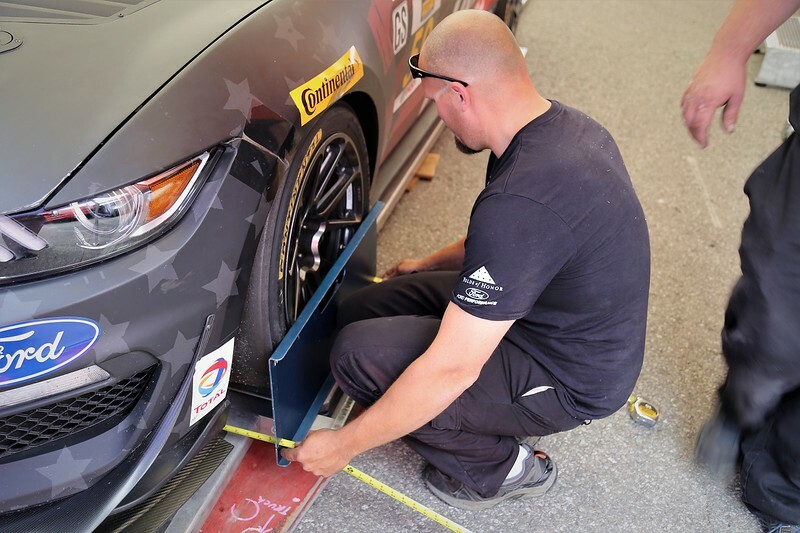 Use a steel ruler to measure from the string to the front and rear edges of all four wheels. Super accurate. Easy to setup and costs virtually nothing. With this technique you get to see the toe and thrust angle of the rear wheels also. This makes it easy to tell if the chassis is setup square or not. I like to string to set toe. It is fairly easy and provides accurate results. I use electrical conduit, 2 lengths, with holes drilled such that the spacing is the same on each. I hold the conduit up with jack stands (wired up). Once centered where it should be, taking measurements is easy. Regarding that hanger kit - I don't see the U-shaped pieces that you bolted to the existing hanger that you trimmed. They aren't pictured in the Summit kit. Does the kit come with them? Thanks Jack I kind of thought the toe plates were a waste good thing I didn't pay for them. I'll take a look at getting some conduit and doing the string measurement. Where do you suggest I measure from on the car to make sure I have the string squared around the car? Here's the link to the part sorry for got to post it up. To be honest they were a little big but did what I needed. You can measure from the tip of the dust caps and the end of the axle to get the string box square around the car. You need to make sure that your dust caps are not deformed to do this. I have some html code that you can use to enter all of the eight distance measurements from the strings to the rim lips. If you use this, you don't need to even center the strings around the car. Do you have link to the code or is it on the MM website? I'm going to work on the camber and caster tonight then the toe next week. No. I found it on a website that is now gone. I saved it just in case it disappeared. Send me an e-mail and I'll send it to you. Since it uses Java code, the e-mail will probably go straight to your spam filter. To run it, just save it to anywhere on your computer, right click on it and select open. It will open a window in your browser. Ha. I had typed my response at almost the same time as Jack and didn't see what he wrote until now. What is funny is that it was Chuck that walked me through different ways to string up the car. Jack gave me pointers as well. So all I can say is that what Jack is suggesting works. 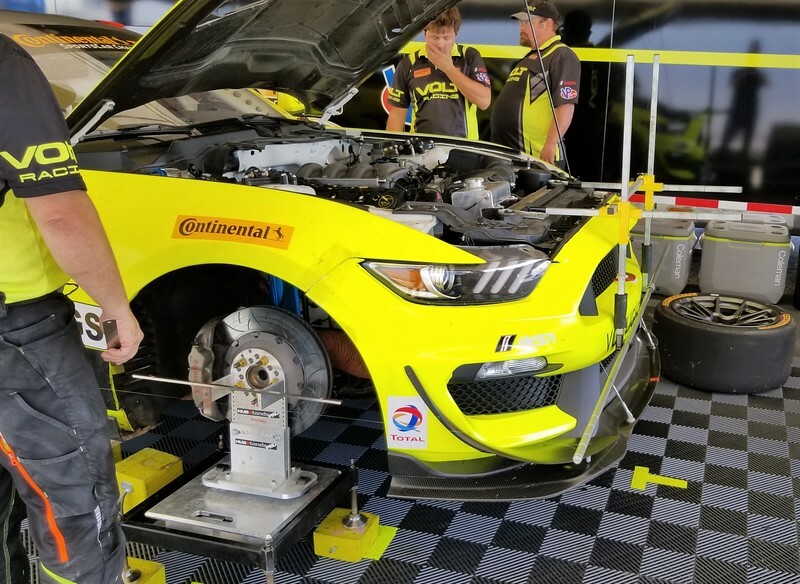 After doing this on a few cars I started paying more attention to how race teams were doing it in the Continental IMSA series races. 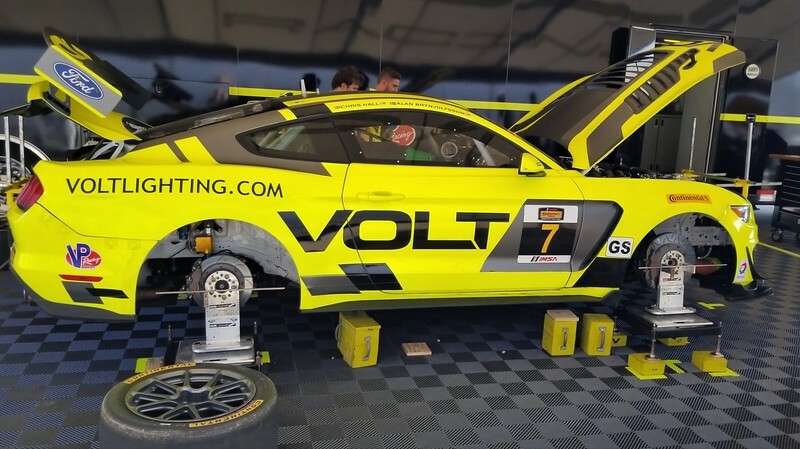 I watched carefully and listened as the Volt team was stringing their car just prior to the race at Road Atlanta. Dean Martin's crew using toe plates and checking camber on the fly. Thanks Peter for the link on the hanger hardware. And I ordered a Quartermaster driveshaft today. Great people to deal with and I thank you for the suggestion. So not much has happened with the car in a few days. I was hoping to get it out before last weekend but didn't get a chance went to disneyland with the family instead. I got back today and took the car for a test drive. I was hoping I fixed the thumping sound but it appears I have not solved it. So its back to the drawing board. I did get a chance last week to set the camber and caster on the front of the car. I set the front to 3.2 degrees of negative camber and set the caster to 6.6 degrees of positive caster. I got all the stuff together to work on the toe tomorrow night. I also did some work on the shifter bezel. I didn't really like the rubber boot that came with the shifter so i decided to make my own out of some aluminum I have for the fender wells. Then I was going to use this shifter boot. I will have to trim it to make it work. Once I get the toe set I'm going to try and get the car out on Thursday to try my best to narrow down where the noise is coming from. I did do some research on wilwood brakes and thumping noise and found a few threads about wilwood brakes making a thumping sound when the were new. Some said to make sure all the pistons are sitting evenly on the pads. The other thing a few people said was the leading edge pad will make that noise when there traveling over the slots in the rotors. They said once there worn in it will go away. Go to first new post Race seat options.